In honor of #ToastTuesday, we wanted to share with you one of our favorite pre-workout meals. For those early morning sessions, it can be kind of hard to tolerate anything other than a bread & [nut] butter type of meal. It takes 5 minutes to prepare & keeps us fueled throughout the entire practice. Can’t beat that. 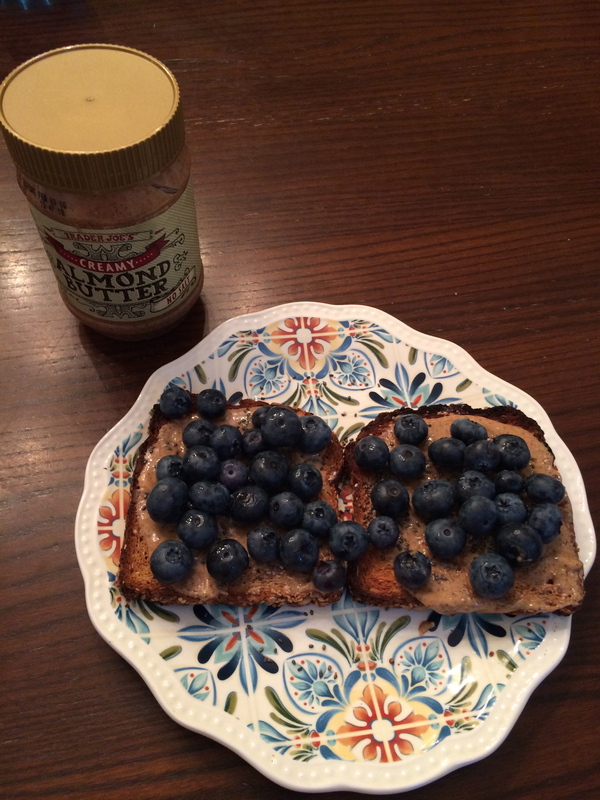 This morning, I whipped up one of our favorites- almond butter, blueberries, and chia seeds. Also pictured is the jar of almond butter for added effect (did it work?) But actually, Trader Joe’s almond butter is a w e s o m e. Who wants to pay $12 for a jar of nut butter that will be gone in less than 2 weeks? We’ll pass on that one. This one costs about $6 & does the trick.